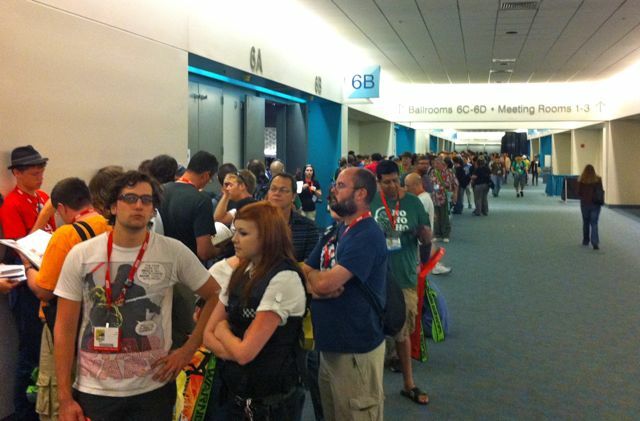 The real meaning of Comic Con: Lines! i am waiting in a line that can be seen from space for Bruce and the rest of the cast of USA’s Burn Notice. at least I can camp once I get inside.